Recently we have announced that we will feature one Biker Chick a week, and our inbox was not flooding with a lot of emails. However, here is the lucky pick for Biker Chick of a week. Some of you already probably know Sash from her blog or events. eBikerLeather.com is a regular visitor at Sash Mouth blog, we read all of her posts. Let’s take a moment to introduce our Sash to everyone out’s. Where did the nick name Sash come from? As you might wonder, we did wonder that as well. The nick name is from being a former beauty queen in her old home town. Sash has not been always into motorcycles, she started to look up information on motorcycle world, when her dad joined a motorcycle club. Which was inspiration to Sash to learn more about motorcycles, culture of clubs and understanding of brotherhood. There is more to Sash than just motorcycling, if I were you I would take the time to sit down and read her About Sash page on her blog. You will find out much more information, on how she grew up and learned her life lessons by herself. To read more interesting information on Sash click here. Recently Biker Monkey was on a Toys for Tots Run, and raised lot’s of money. We are supporting Biker Monkey in their private funding for their new redesigned website. We ask you to consider donating to the private funding. Let’s all help our brother Biker Monkey. 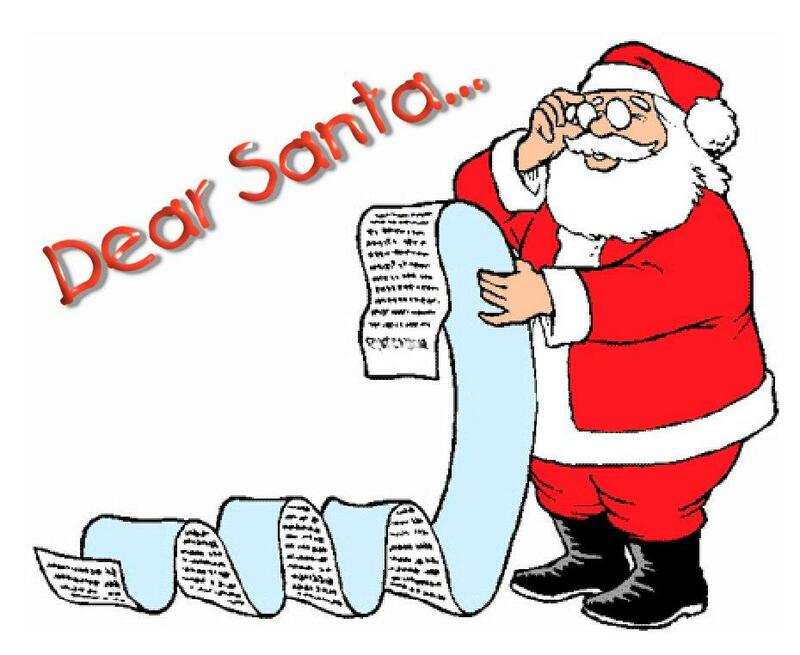 Christmas is getting closer, and the list of presents is getting longer. But we all know that we won’t get everything from that list. Do you know what to get for your wife or husband? Probably not since it seems like they have everything that you can think of at this given time. We are here to help, you with making the decision. We have a great team working on Christmas gifts for her and him. It consists of 6 people 3 women and 3 men. Their full day of work since Tuesday, is only about that list. They are analyzing the list for final steps. As soon as I get the list it will be published on our blog. From the news that I have received today morning, the list should be done either today, or tomorrow morning. That way you still have 20 days to shop and review our list. Dear Santa all I want for Christmas is a New Harley Davidson! Did you know that Yamal translated as “the end of Earth” and it is a peninsula in Russia. Siberian manufacturer copied blueprint for the Yamal just before 2nd World War from German BMW R-71, and the bike has been in production ever since. So now you know little history of Ural you are able to understand what this motorcycle is all about. This Ural Yamal has 749cc twin cylinder engine with shaft drive for switchable to two wheel drive. The 2012 edition is only available in one color, flat orange. Fifty first Yamals will make it first to U.S where they will retail at $14,250. There is no word yet on whether they will be imported to UK. If you would like to learn more about Ural Yamal I do recommend checking out Fuzzy Galore Blog. You will be surprised of information that Fuzzy has prepared over the past years on Ural Yamal for you. You have to watch this! It is hilarious! Recently I have been reading all over the web that Apple has bought “Lightning” trademark from Harley Davidson. 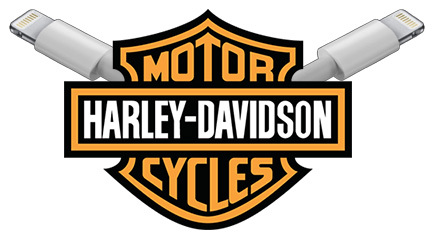 Who would have thought that Harley Davidson would own something that Apple might desire. Remember when Apple released their “Lightning” dock connector, for the new iPhone 5? Apple has also promised that all future devices will be equipped with the “Lightning” connector. I have not seen any money discussion between Apple and Harley Davidson, so I can’t fill you in on that. But I can add a fact that the Lightning line of bikes was produced by Buell Motorcycle Co., and later on they were bought by Harley Davidson, and shut down in 2009. After Harley has purchased Buell, they got the rights to own “Lightning” trademark. Adventures of freedom never stop! Read about cool experiences of others and create your own adventures of freedom! Have you thought that you will see in 2012 a Hand Made In America Motorcycles? I never even thought about it since machines do most of the work for us in these days. The goal of Janus Motorcycles was to introduce a line of simple, and stylish motorcycles that will appeal to male or female riders. Janus Motorcycles is located in Indiana, and employs primarily local vendors and artisans. The bikes that they build are not replicas of any other brand. However, they were not even designed to emulate the history; all Janus Motorcycles wants is appealing production line to female, and male riders. Janus Motorcycles is going to be known for building not ordinary bikes, but for those who love freedom, joy and not seeing themselves go 150 mph. Here is a quote that I found interesting from Janus Motorcycles. Well, what has impressed me that the price for a Halycon 50 or Halycon Basic starts at lower than $6,000 . Which is really appealing to people that can’t afford to pay $10,000 for a Harley. However, the Halycon 50 was a record breaker in 1920’s and 1930’s of production. Check out more information on Janus Motorcycles by clicking here. Have you ever looked online for a good laugh? I bet you have, and so have we. But recently we were looking for funny motorcycle stories or pictures. The search results were dull so we decided to turn our heads towards FML. It was fun reading all the problems that people have. It seemed like some of the things don’t just happen to them, but we as well could relate to them. So we did a motorcycle search on FML, but the results were only 3 pages. Then we started to dig through the 3 pages and picked out the best ones. Today, I fell off my boyfriend’s motorcycle. I had a few scrapes and bruises, and my boyfriend called for an ambulance as a precaution. The paramedics managed to drop me on my head. Today, while working as a police dispatcher, I took a call for a motorcycle accident that occurred near my house. After obtaining all the essential information I realized the rider was my brother. He doesn’t own a motorcycle, but I do. Today, I had my girlfriend drive me to go buy a motorcycle. I rode it 50 minutes home, got in the drive way, put the kick stand down, and then lost my balance and fell on the other side. I paid $3000 to drop it in the first hour and break the turn signal off. Today, my husband decided to drain his motorcycle oil into an empty bottle of laundry detergent. Also today, I decided to lift a stain out of my white comforter with some detergent I found in the garage. Today, I was on my way home from work and decided to stop at the grocery store. I purchased $200 in groceries and went to put them in my car. I then realized I drove my motorcycle today. Which story is your favorite? Leave a response in a comment. More of FML at this link. Motorcycle FML get the guts to spill the beans.